Recently I wanted to download historical stock information from the internet and store this information into a data warehouse. 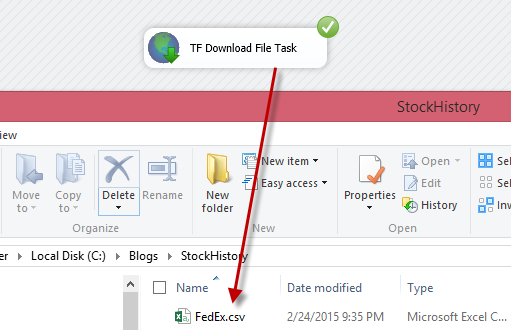 Using the Task Factory Download File Task I was able to dynamically download thousands of csv files with historical stock information and trends for my data warehouse. 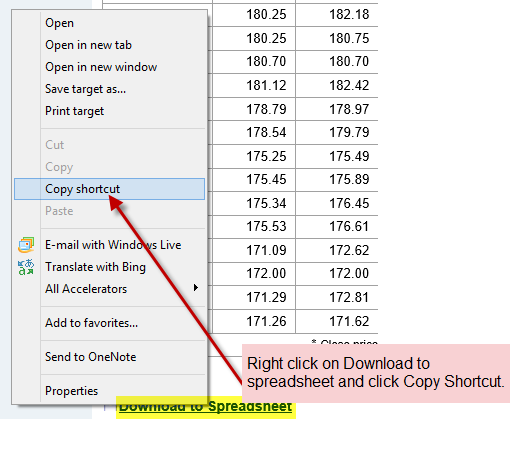 The Download file task allows you to download files over an HTTP connection from inside an SSIS Package and it also has support for HTTPS, I will show you where to enter credentials. 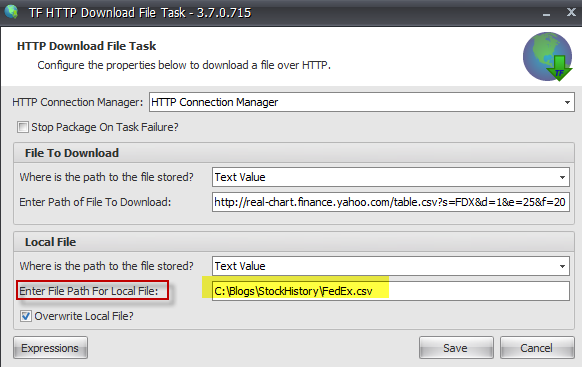 So in this example I am going to download a CSV File from Yahoo Finance with historical price information for Fed Ex. Create a new package in SSIS and pull the Task Factory Download File Task into the control flow. Now we need to create our HTTP Connection manager. 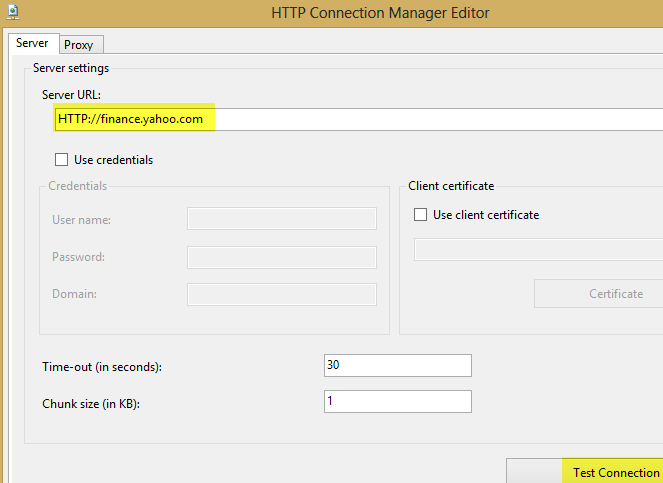 Creating the connection manager is very easy, especially if you are not using HTTPS. Use Credentials: (Select this box and proceed with your username and password if credentials are required. Click Ok. Connection manager has now been created successfully. Now we need the exact location of the file we want to download. Now that we have the exact location of the file we can finish setting up the Download File Task. Note I am simply specifying a Text Value for this walkthrough. You can use variables and expressions with this task to make it as dynamic as you need. The final step in this process is to specify the location where the file will be stored once downloaded. Once again I am using “Text Value”. Now execute the package and there you go!